I recently participated in the Houston Project – a sort of missionary opportunity around our own city of Houston. 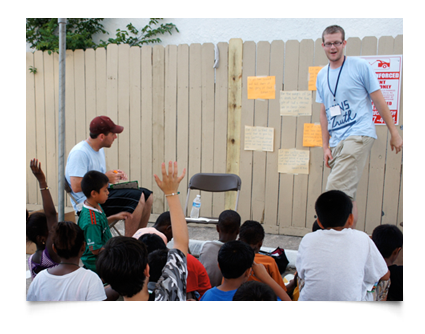 For a week, volunteers went to designated areas around Houston to share the gospel and love of Christ. There was worship, VBS, praying, evangelism, food and play time afterward. It was an organized opportunity to share the Word of God right where we are – in Houston. I have known about this event for a few years but had never participated. This year, I decided to sign up because I was moved by a dream that our pastor shared with the congregation. In his dream he saw the enemy telling him that downtown Houston is his. In shock of those words, my spirit rose up. Downtown Houston may be the devil’s playing field now, but it won’t be for long and I’m going to take part in the action to restore people to Christ. 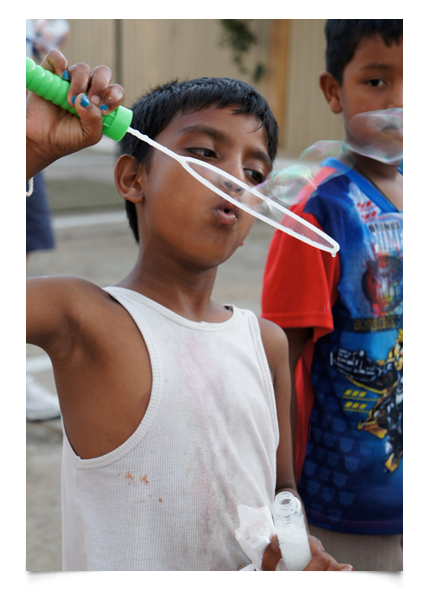 Below are some photos from the Houston Project at Los Arcos. 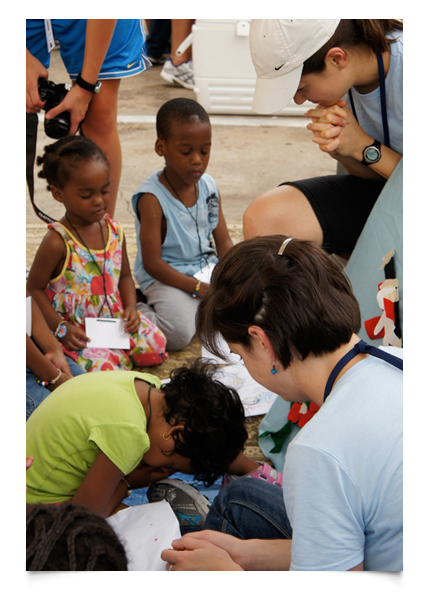 Praying at the end of a VBS lesson. 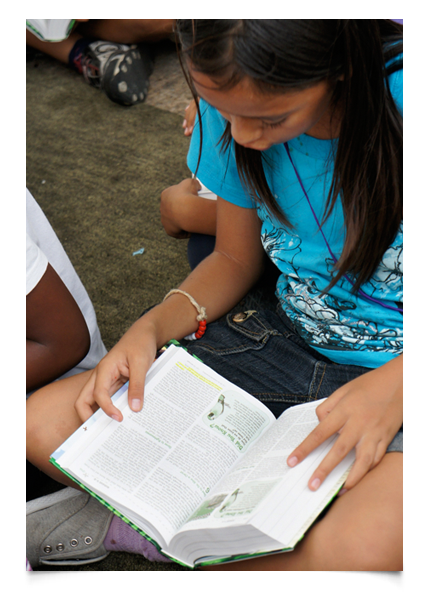 Young girl reads her Bible during VBS. 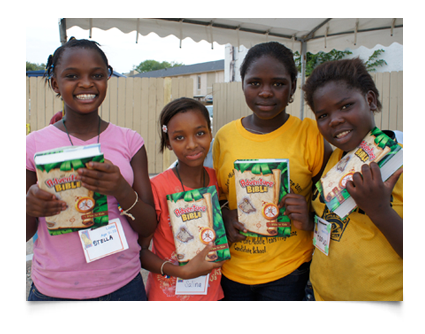 Girls with their new Bibles and smiles. 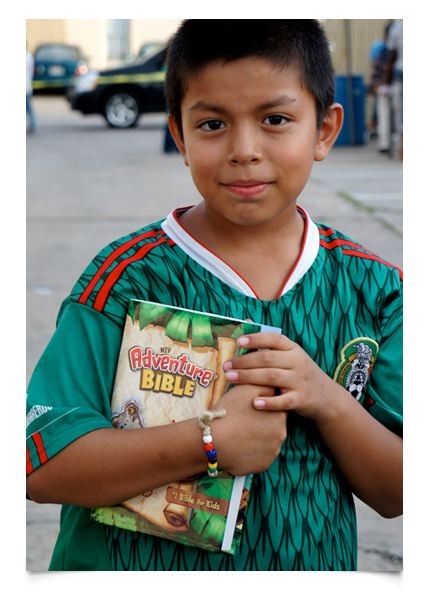 A young boy with his new NIV Adventure Bible. I’m not sure how many Bibles we gave away to the kids, but it was a lot. What a blessing!! 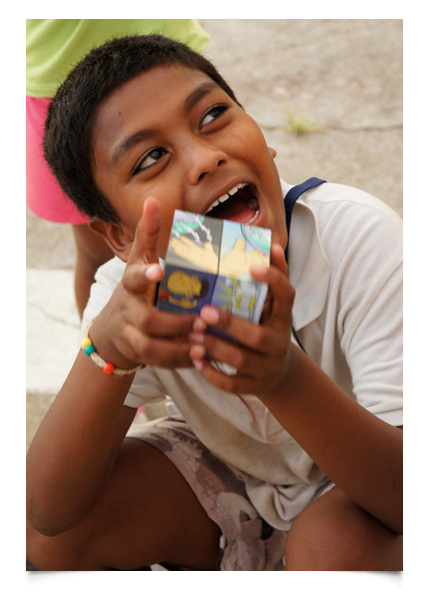 Mike shares the gospel by using an evangelizing cube. 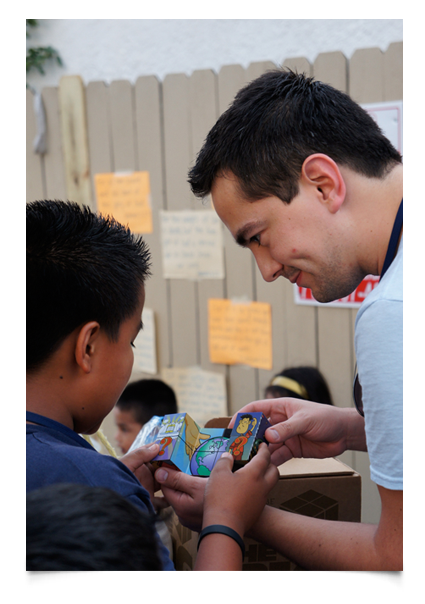 Everyone loved the evangelizing cube. It was an effective way to share the gospel through images, since many did not know a lot of English. We gave out hundreds of toys to the kids on the last day of the event.